For the bride who appreciates modern beauty—and delicate details—our Ballroom is the perfect space to celebrate your dream day. Available all year round, and accommodating 80 to 180 guests, this bright and beautiful space offers gorgeous views, a versatile layout, and decor options to reflect your unique style. 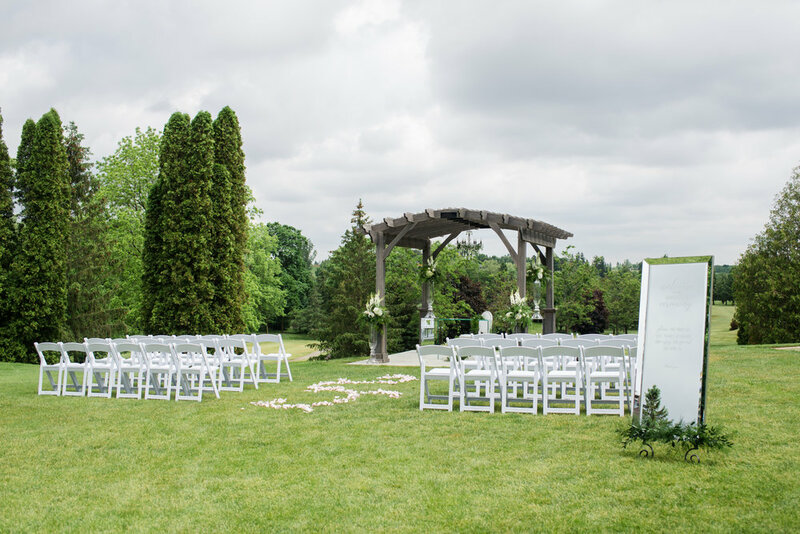 Noted as one of Ontario's hidden gems, the picturesque grounds at the St. Marys Golf and Country Club are a beautiful setting for your outdoor ceremony. 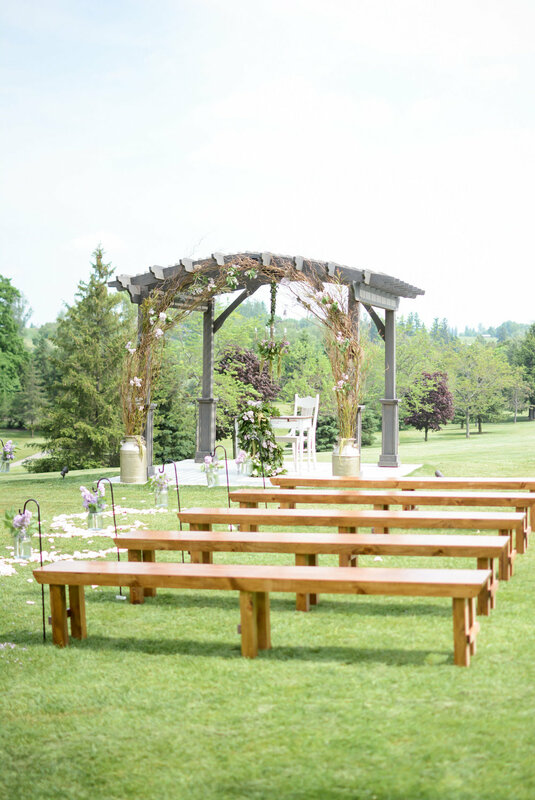 With our stunning views, custom wood pergolas, and expertly manicured landscape, the Country Club’s grounds are the perfect place to say, "I do!" Whether you're planning a unique winter wedding or simply want to remove weather variables, our Ballroom at the St. Marys Golf and Country Club is a versatile space that can be arranged for a ceremony to suit your vision. During the winter season, the stone fireplace in our Clubhouse provides the perfect backdrop for an intimate and romantic ceremony. 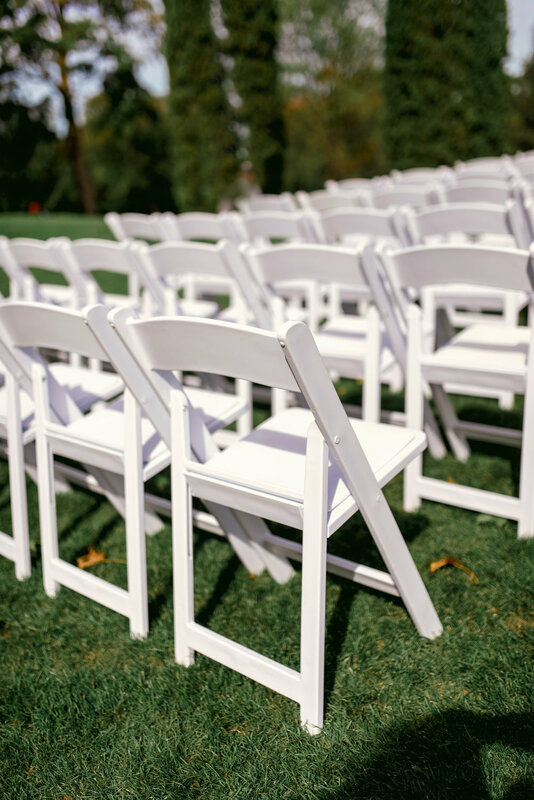 Allow us to arrange tables, Chiavari chairs, and place settings to perfectly suit your taste. Then enjoy a plated or buffet-style dinner, prepared by our Executive Chef, before dancing the night away with friends and family. For a more casual experience, we also offer hors d'oeuvre style and food station catering. And when refreshments are desired, the friendly staff behind our fully stocked bar will be happy to serve you. Plated or buffet service preference? A formal seated meal or food stations with hors d’oeuvres in a more casual setting? We offer many options to fit your unique vision, and accommodate dietary restrictions and alternative menu preferences.